Pride is coming! 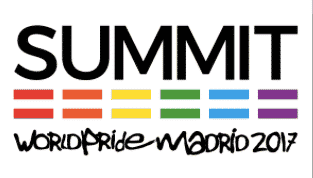 July is just around the corner and with that comes Madrid’s most famous and anticipated week: Pride Week! From the 28th of June to the 8th of July, there will be 10 days of festivities including concerts, exhibitions, theatre shows, art shows parades and more! 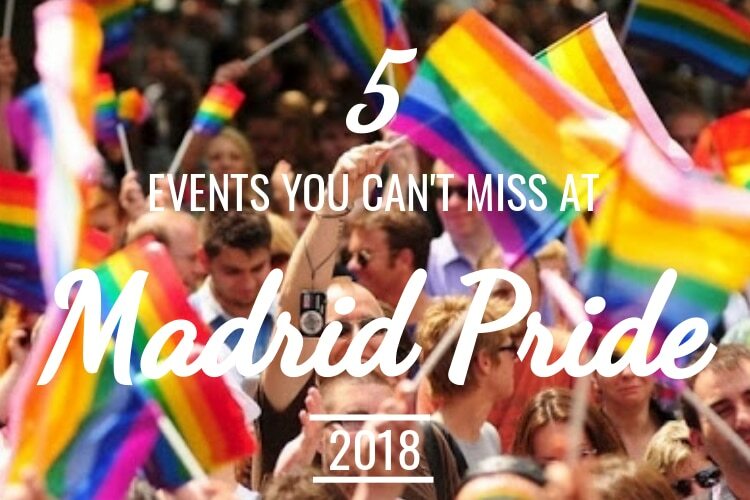 Check our 6 most anticipated events of Madrid Pride 2018! 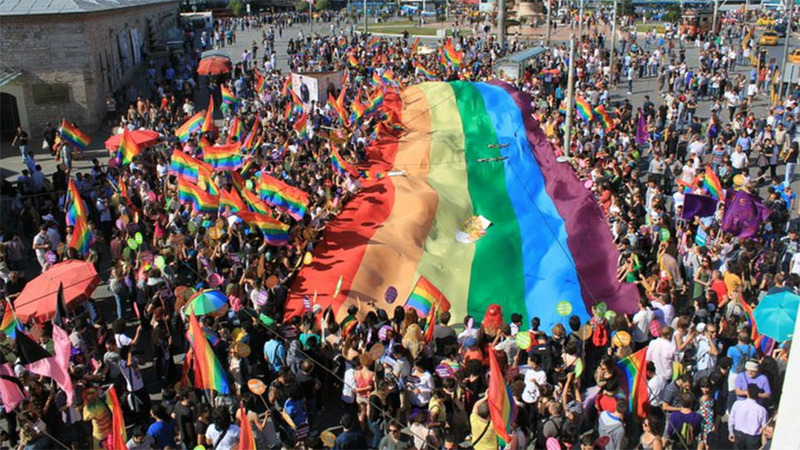 The Pride Parade is the main event of every Pride festival around the world! Madrid is famous for having one of the largest parades in the world and this year Madrid is celebrating 40 years of Pride! The parade will take place on July 7th and will stretch all the way from Atocha to Plaza Colon! There will be over 40 floats participating and an estimated 2,000,000 people walking! All of all events to take part in this year, it’s this one! Chueca itself is a neighbourhood famous for nightlife. With a huge concentration of bars and clubs in the neighbourhood and the lively LGBT residing there, it’s the go-to place! 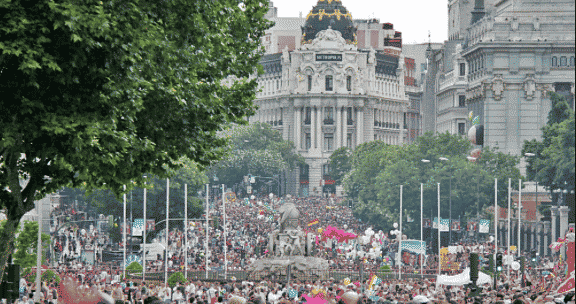 But during Madrid Orgullo the whole city turns into one big party! 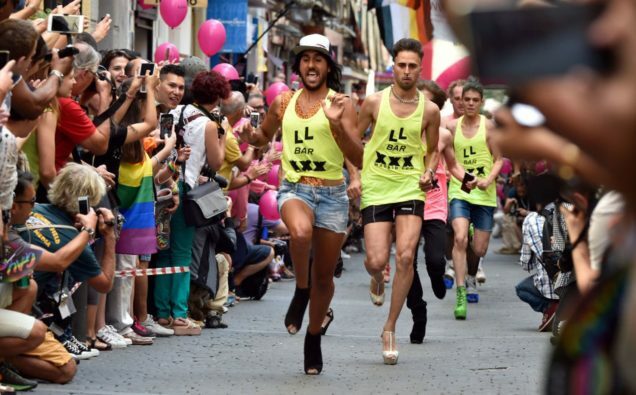 Officially, Madrid Pride will be hosting 5 events, but clubs and bars all across town will be supporting the LGBT community with a whole-lotta partying!! If you’re not into the party side of Pride you can participate in and attend one of the many sporting events! From the super fun colour run and the diversity race to the Women’s World Championship and the Paddel Tournament! You’ll have to register for most of these events, so make sure to get your spot! Possibly one of the most important events of Pride, is the Pride Summit. It will be held on the June 2nd and will have several speakers discussing topics ranging from LGBT Youth, LGBT Rights, Bullying, The Culture of Hate and many more! If you’d like to attend the summit, you will have to purchase tickets, so don’t forget to get them soon! The culture festival of Madrid Pride is when art meets the streets! 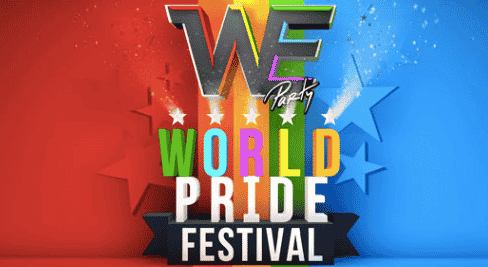 From powerful theatrical performances and social art shows to there cultural movements aimed at encouraging activism and attention toward the LGBT community! Shows like La Culta and Subversives are just a few of the movements scheduled for the festival!